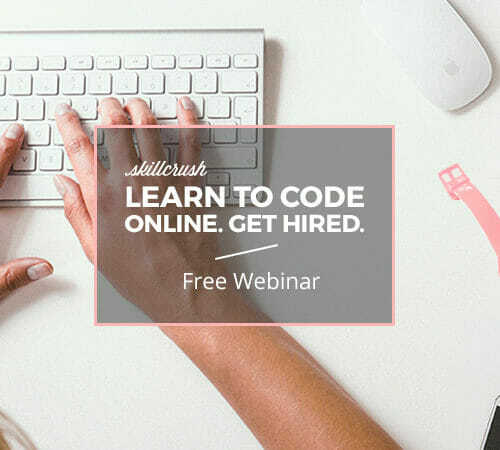 Skillcrush is anything but your typical coding bootcamp—in fact, Skillcrush is considered something else entirely. 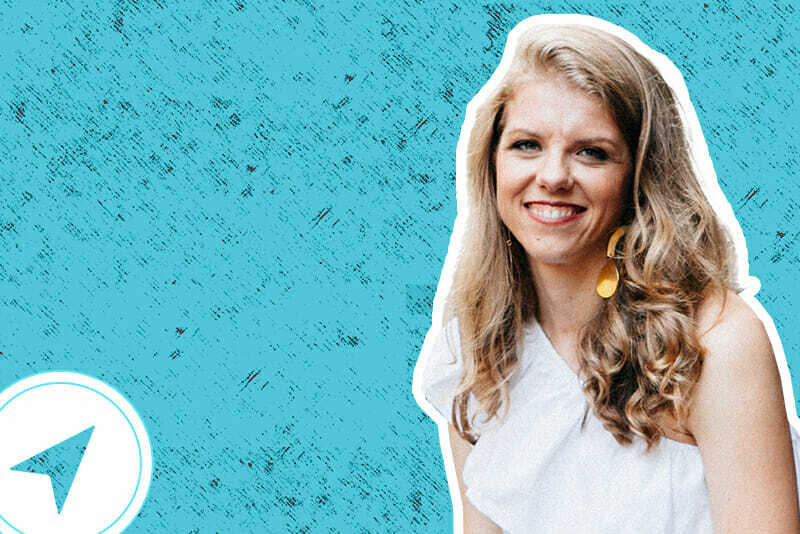 Recently, SwitchUp sat down with Skillcrush Founder and CEO Adda Birnir to find out more about what their program has to offer. 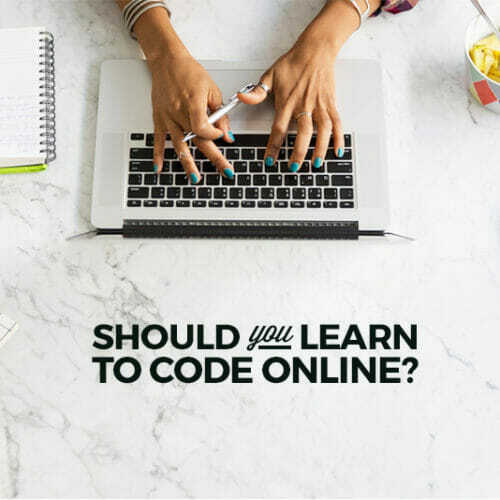 If you are a total beginner hoping to enter the coding and technology space, this school may be your perfect fit. Find out more in our interview below. And if you’re looking for student experiences, the Skillcrush alumni review page on SwitchUp has everything you need. 1. 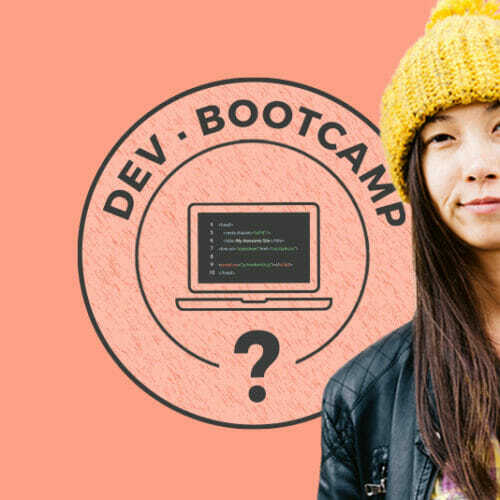 At Skillcrush, you do not consider yourselves a bootcamp. Why is that? When we say “bootcamp,” we’re talking about those intensive, in-person, 8-12 week programs that have become popular in recent years. They’re great options for some people, but—like most things in life—they’re not perfect for everyone. In order to do one of those bootcamps you have to be in a set location, commit to attending full time, and it’ll cost you. That might work if you’re not working, live in a major city, and have money saved up, but we wanted to provide a new way for people to transform their careers without having to quit their jobs, uproot their lives, or spend thousands of dollars. The vast majority of our students are women (more on that later), so it was imperative to us that we create a program flexible enough to fit people’s varied life circumstances. In the past, a lot of women have not had the chance to enter the tech world because they were caring for children, they lived outside of a big city, or couldn’t afford an in-person bootcamp. Our goal is to create a program that makes sure that those common life circumstances don’t prevent anyone from taking advantage of all the opportunities in the digital tech space! 2. What are the ways you feel Skillcrush is different from other programs in this space? Traditionally, women have been shut out of the tech industry and many universities, bootcamps, and online programs struggle to get women to join, but that doesn’t mean that they aren’t interested in tech work or that there aren’t awesome opportunities for them. Skillcrush is proof positive that women and other minorities are interested in tech. It’s just about making a coding school that’s accessible and welcoming to people who have previously felt excluded. We also know that in order for our students to succeed, it’s all about giving them the support they need when they need it. A third of our staff is made up of instructors—and that’s a huge part of why we attract such great students and why they get such a positive experience. We’re not just a coding school—we’re a community. 3. How does Skillcrush prepare students for life after the program? We work with students to prepare them as much as possible, and supporting them in getting work experience is core to the program. Our courses are project-oriented, and we build freelance work into the curriculum. This way, our students graduate already making money freelancing and building up their portfolio of work, and the better lives our students build are the natural result of following the program. 4. What do your career services entail? Because we have students in all 50 states and 127 countries, we aren’t like a traditional bootcamp in a big city that can build up relationships with local tech companies to place its students. We wish we could! While we don’t do job placement, we prepare our students for the working world by helping them build their portfolios, gain work experience through freelancing, and identifying good jobs and applying to them. We also work with partners like FlexJobs, PowerToFly, and Remote.com to source remote and flexible jobs. 5. Do you have scholarships aimed at diversity in the tech space? We don’t! We like to think that our entire program is a scholarship for diversity! In all seriousness, we appreciate that other programs are working to make their offerings more accessible to women but the scholarship approach is not the approach we believe in. Instead, our entire program is about including people who have been previously excluded from tech, meaning our whole student body is made up of people who are diversifying the tech landscape. Everything we do is with them in mind and we’re committed to keeping our tuition low so that we can be as inclusive as possible. That all said, we do have support in place for students who are unemployed and looking to restart their careers, because we know that if you don’t have an income, you’re often stuck without the ability to move forward. We also offer support to students and people in the military. 6. How does the Skillcrush team adjust curriculum to keep up with the constant changes in this industry? In our experience, the bulk of the constant change is actually concentrated in the more specific technical topics, things like frameworks and whatnot. Since we teach fundamentals and foundations of coding and web design, they tend to remain a bit more stable. That said, our curriculum team is constantly working to identify more specialized elements that have become out of date and iterating on our coursework. 7. Do you need to have a background in technology to succeed at Skillcrush? Absolutely not! 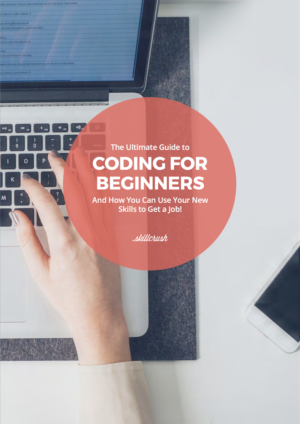 Skillcrush caters to total beginners. 8. What qualities make up the ideal student? An ideal Skillcrush student is full of curiosity, enthusiasm, perseverance, and the ability to keep testing and keep learning. I love to see students who understand that coding isn’t just an end game, it’s a means to an end. These students are excited and motivated by something bigger than just learning tech skills, like a total career change, more fulfillment, and freedom. 9. Do you have any advice for upcoming applicants? First of all, you don’t have to apply. Anybody is welcome to join Skillcrush classes and we’d be thrilled to have you! For prospective students, I’d tell you that we are in the middle of a massive digital revolution. It’s really exciting, and there’s so much opportunity to get in on the ground floor. I truly believe that there’s not a single person who won’t benefit from having a better understanding of what’s going on in tech, and it’s especially important to me that women don’t get left behind. So if you’re not sure if tech is for you, just know that this belongs to you as much as it does to anyone else. Don’t be scared or intimidated! Go get it! 10. What about those that have already graduated? Part of the learning and earning process is just doing it—even if that means falling flat on your face. If that happens, come back for more support when you need it, but also trust in your ability to figure out things as you go, and believe me when I say that you are definitely capable of finding your way. And remember: Once you’re part of the Skillcrush family, you’re always a part of it. We’re here to support you in whatever challenges come your way!